Our first meeting of the 2016-17 year! 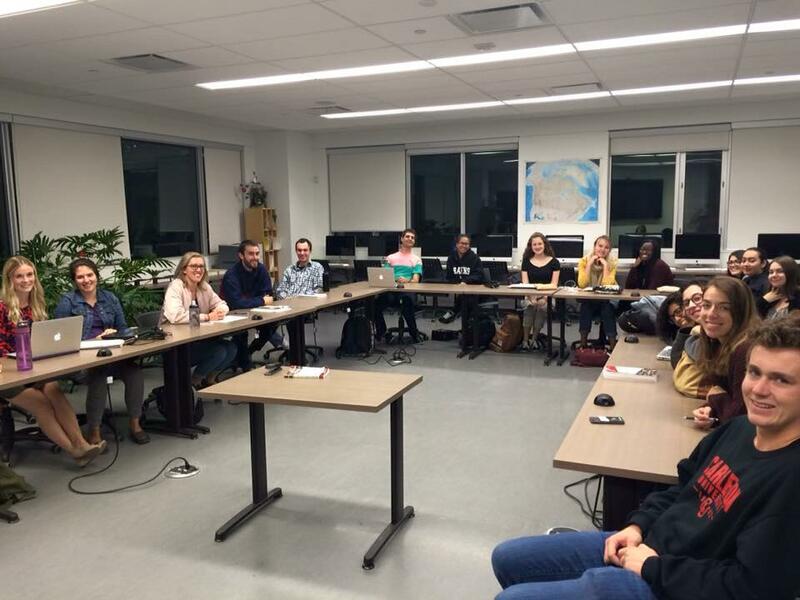 The Carleton chapter of Journalists for Human Rights (JHR), a media development organization that helps train journalists all over the world, is ready for another exciting year! We’re a group of Carleton students passionate about journalism and global issues and if any of this appeals to you- we would love to have you on our team. We organize events to fundraise for JHR projects, write human rights related content for our website and meet to talk about world issues and what we can do about it. This year we have also successfully launched a whole new radio show on CKCU called Speak Out! airing every second Tuesday from 12-1 p.m. starting Jan. 24. Help contribute radio pieces, join our roundtable discussions live on air, or even recite and talk about some rights-related spoken word! With an enthusiastic exec, Carleton JHR 2016/17 is headed in to a year packed with amazing events, speakers and connections with fellow students. And we’ll be updating it all here on our website.